Glad to see the Blue Ridge Beemers web site resurrected. I was beginning to wonder if this forum was permanently defunct. Rode down to Austin for MotoGP at COTA last month and wanted to see if anybody else was going, but alas I was unable to post my plans here. Anyway, it's good to see that the forum is alive once again. Anyone planning to hit the MOA Rally and/or RA Rally this year? I'm skipping Des Moines, but will probably ride up to PA for the RA shindig in July. Thinking about hitting the Square Route Rally next month too. Now, about those 1st Sunday rides.... Did anyone get together this morning? Any plans or ideas for June 3rd? Re: Yay! The BRB Web Site and Forum Lives! Concur! 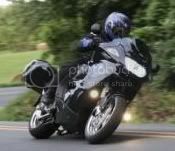 Looking forward to a great riding season!. I am going to the RA. Probably will just do a 1-day dash up there but no firm plans yet. We're leaving the country early the following week so I have to make an expedient return as well. I had planned to do some sort of tech seminar but the rally dude said they were booked with that sort of stuff, so I am just going to ride!! I'll be on one of the Airhead GSes and do the GS Giants program. I am going to the RA. Probably will just do a 1-day dash up there but no firm plans yet. Same here. No firm plans. I'll probably just take a day off work on Friday and ride up to Wellsboro early that morning... Unless others will be heading up there on Thursday and want to ride together, in which case I'd be inclined (easily convinced) to burn two vacation days. Lots of good roads to explore in northern PA and the "Southern Tier" of NY, so I might just take two days off work either way. Would be nice to revisit some of those twisty routes that Butch, Joe, and I enjoyed on our way up to the RA Rally in Vermont back in 2010. That was a great trip!